COBRA was founded in Jan/Feb of 2007 by two paintballers who found each other on the Special Ops Paintball brigade page. These two soon realized that they both already frequented local Houston recball fields. It wasn't long before these guys took their game to the next level and started COBRA. Initially, they came up with the team name COBRA but were indecisive about what team logo to use. Luckily, the G.I. Joe Cobra logo was readily available and they went with that initially. However, COBRA has since redesigned their snake logo. It can be seen at the very top of this page. COBRA consists of experienced team players from all over Texas. 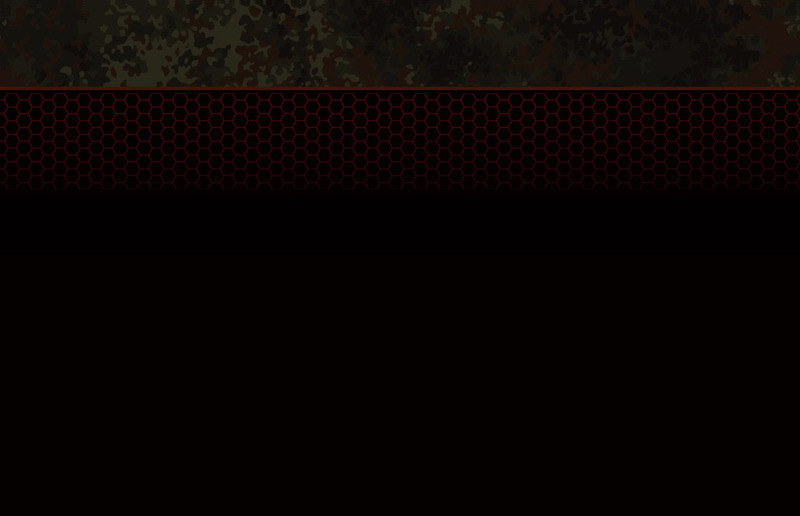 They primarily play scenario games, but are known to play other events like the UWL and other tournies. They also LOVE to travel and have attended many events such as D-Day, Living Legends, Skirmish, Decay of Nations, Waynes World Grand Finale, CPX Sprorts Living Legends and others and have also won numerous awards. Check their events page for events updates. Whether it's a 26 or 12 hour scenario game or competitive event, COBRA will play it. They all have different skill sets that they bring to the game, but they all share the same drive in the sport: to play with integrity and good sportsmanship. They also love to meet new teams and form relationships with those teams and paintballers. At the end of the day, the most rewarding aspect of paintball is the relationships formed with your teammates and other fellow paintballers! Some of the team members started out playing with pumps, some started out playing speedball, others started out in the woods. To these guys, paintball is a passion. You will always see them rockin' GI Sportz/Tippmann markers at local or distant paintball fields. They play with heart and lots of aggression and they strive to push their gameplay to the highest level. COBRA practices often in order to maintain and hone their skills. They are also proud that several of their players are prior sevice members or are currently deployed overseas. COBRA used to be a home team at Tactical paintball in Harwood, TX. If you frequented the scenario games there, then you probably ran across COBRA. There were many great home teams at that field, but it eventually closed and teams had to move on. 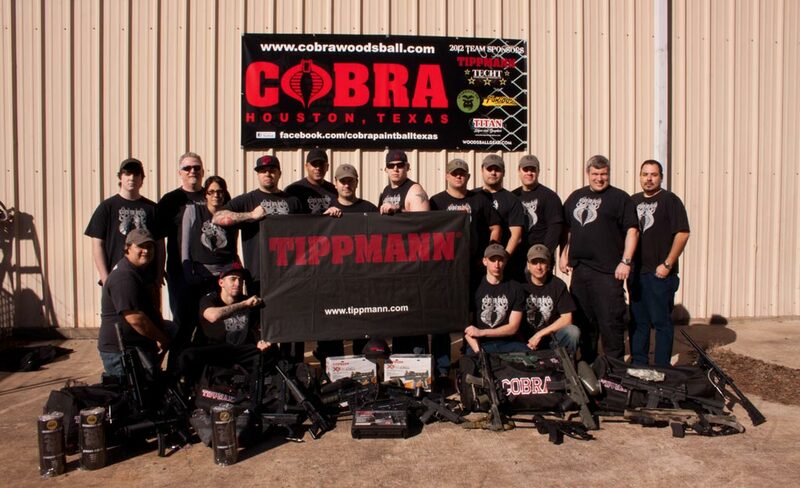 COBRA is currently a home team at 5J paintball in Spring, TX. If you get a chance, check out this field! If you play a scenario at this field, be sure to stop by the COBRA staging area. If you think they take the game too seriously, just stop by their staging area for a brewski, bar-b-que and some laughs. You can't miss their staging area. They usually have a number of large banners up. They love their sponsors and they value their relationships with their sponsors and try to become valuble to them. They strive to represent them, not just on the field, but with videos and product reviews. That is why they are proud to hang our sponsor banners at games! So where are they playing next? Check out their game schedule. They frequently take part in scenario and paintball events around the US and will sometimes command a game. Be sure to stop by their camp to meet them. If you get a chance, be sure to like their FACEBOOK page, follow their INSTAGRAM page and join their FORUM and say hello! Are you looking to join a team? COBRA is looking for dedicated and responsible team players that have the means and the commitment to make at least one scenario game or practice every one or months. If you are interested in JOINING THE TEAM, let them know. They will be glad to meet with you.